HUBBARD Memorial services will be held on Thursday April 4, 2019 at Noon at Howland United Methodist Church, 730 Howland Wilson Rd, NE, Warren, Ohio 44484 with Pastor Tom Badanjek and Pastor Ruth Roth officiating for Carl Richard Stere, 75, who passed away peacefully Sunday afternoon March 31, 2019 at his home surrounded by his loving family. He was born January 11, 1944 in Youngstown, a son of Walter Hastening and Ruth Ann McFarland Stere and was a lifelong area resident. Mr. Stere a graduate of North High School, attended Youngstown State University and served with the United States Air Force as an aircraft mechanic during the Vietnam War from 1966 to 1970. 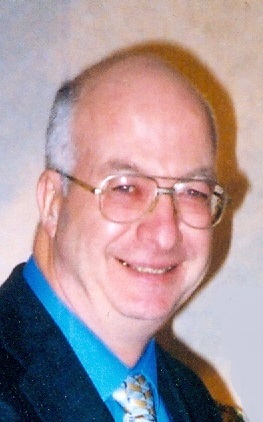 Carl worked for Delphi Packard Electric for 34 years, retiring in 2004. He loved his family, Christ and his church, was always willing to help family and friends and also was an advocate for charities and the less fortunate. Carl enjoyed hunting, working on cars, woodworking, gardening and watching football and boxing. He leaves his wife of 52 years, the former Jeraldine Goodyear whom he married May 7, 1966; two sons, Eric Stere and his wife Amy of Waleska, GA and Jason Stere of Hubbard; a daughter, Christine Bobby and her husband Jeff of Charleston, SC; a brother, James Stere and his wife Nancy of Hubbard; two sisters, Margaret Roth of Youngstown and Helen Jones of Hubbard and nine grandchildren, Tristen, Noah and Grace Stere, Cassandra, Jeffrey and Andrew Bobby, Austin and Cody Stere and Stephanie Plyer. Carl was preceded in death by his parents; two brothers, Glenn and Paul Stere and a sister, Pauline Crytzer. Family and friends may call on Thursday April 4, 2019, one hour prior to the services from 11:00 AM to 12:00 PM at the Howland United Methodist Church. Carl’s final resting place will be at Fair Oaks Cemetery in New Wilmington, PA.
Memorial donations may be made to the Howland United Methodist Church Building Fund, 730 Howland Wilson Rd. NE, Warren, OH 44484 or to a charity of the donor’s choice. Arrangements are being handled by the Kelley-Robb-Cummins Funeral Home.